Blizzard just announced brand new forums and a new website for world of warcraft coming out shorlty. 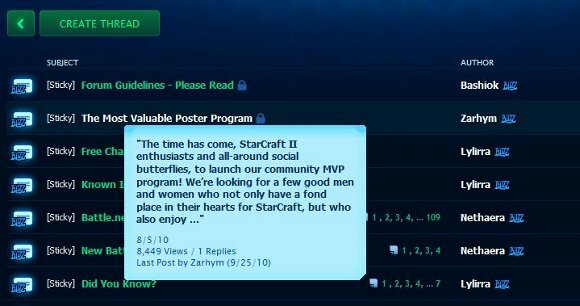 If you have been to the starcraft 2 boards you can already see how they included some of those new features in the forums. Such as a more advanced forum system. Also you can now easily report posts to stop people from just trolling or spamming the site. If you mouse over a players name you will now have a nice little pop up giving you information about that player in the game. The forums are going to be locked while they update to the new ones and we have no clue of a date just yet. We do now that they are planned for november now. You should be sure to copy things like special guides and other parts to your computer just in case they decided to empty out the old forums and remove different things from the game. Blizzard does not have any announcements about the real id forums being added in there due to the public outcry but maybe a volunteer system will be added to the game. Well i hope that the closer we get to the updates actual release date they will give us mroe information on the new forums. Also they didnt relaly talk about the website update so that could mean a ton of new features that will be available to players for just browswing the world of warcraft website. I hope this includes a brand new database setup that players can use and enjoy for playing the game. There is no need for other websites to be forced to make this database when blizzard could come out witha more in depth one that makes lelveing easier for players.